Located just 15 minutes south of San Francisco, Pacifica feels worlds away from other communities on the West Coast. 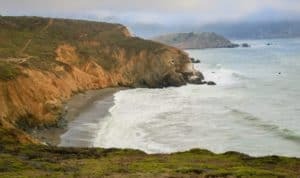 Bordered by rocky ocean bluffs and mountains, Pacifica is known for it’s biking, hiking and most of all surfing. 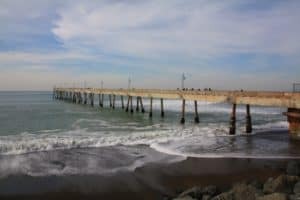 Beginner surfers can catch a wave at Pacifica State Beach, while Rockaway Beach is one of the best surfing locations around, and one of the cleanest beaches in the area. Families will also delight in the several nearby shops and restaurants. Meanwhile, don’t miss a stop at Sharp Park for its pebbled beach and large crashing waves. 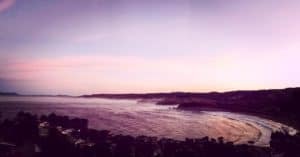 Pacifica CA provides a wide range of recreational opportunities from surfing, kayaking, paddle boarding, scuba diving, fishing and paragliding, to hiking, bird watching and cycling. Pacifica is known to be the fourth richest area in the world for marine mammal life. Watch the sunset from the expansive beaches, or breathe the fresh air from the hilltop peaks. Visit beautiful Pacifica CA! For a list of all the great area beaches, click here. Average temperatures in Pacifica vary little. If you’re looking for the very warmest time to visit Pacifica, the hottest months are July thru September. The warmest time of year is generally late August to early September where highs are regularly around 78°F with temperatures rarely dropping below 57°F at night. The busiest time for tourism in Pacifica, CA, is June thru August. Prices for hotels and flights will be most expensive during these months, though you can save if you purchase well in advance. A vast area embracing the middle and south forks of San Pedro Creek, which are Steelhead spawning grounds, this park is nestled amongst the Santa Cruz Mountain range and the foothills of Pacifica. The park offers group picnic areas, family picnic sites with barbecue pits, a self-guided nature trail, hiking trails, a visitor center, and views of the picturesque, seasonal Brooks Water Fall. This long and wide sandy beach is backed by dunes for the northern half. The tall point north of the beach is called Rockaway Point and has hiking trails that meander through the hills to various viewpoints above Rockaway Beach. Surfers in wetsuits are a common sight here. There is a paved multi-use trail that runs behind the beach and stretches far north for bikers to enjoy. Rockaway Beach is a popular brown colored sandy beach in Pacifica, CA. Right next to the beach are restaurants and hotels so you can spend the day or even a weekend here. 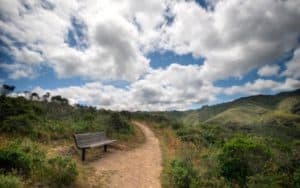 There are hiking trails to explore on the rocky point south of the beach and on Mori Point north of the beach. Mori Point is an open space on a high bluff in Pacifica that was acquired by the National Park Service in 2004. Since then the Golden Gate National Parks Conservancy has turned this into an urban destination for hiking and taking in 360 degree coastal and city views. 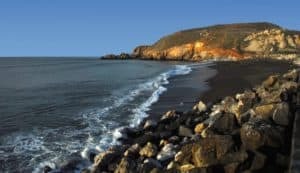 Sharp Park Beach is located along Beach Boulevard in Pacifica, CA. The park is a narrow strip of land with grass and picnic tables and benches above the sandy beach. The Inn at Rockaway is newly renovated inside & out and offers 43 rooms with some views of the Pacific Ocean. Just steps from restaurants and shopping. It is also conveniently located a hop, skip & jump from Rockaway Beach Cove where you’ll find some of the best surfers catching a wave. For more information, pricing, or to reserve your room visit the Inn At Rockaway. This oceanfront hotel offers rooms with 40” flat panel TV, premium satellite channels and individual climate control with air conditioner. In room amenities include microwave, fridge, work desk, coffeemaker, iron, hairdryer and free internet service makes your business or leisure trip to Bay Area a home-away from home. For more information, pricing, or to reserve your room visit the Holiday Inn Express Pacifica. All accommodations at SF Ocean View Rentals come with a dining area and seating area with a flat-screen TV. Select units feature a balcony or a patio with ocean views. There is also a kitchen, fitted with a dishwasher and oven. A microwave, a toaster and a fridge are also featured, as well as a coffee machine. For more information, pricing, or to reserve your room visit the SF Ocean View Rentals. 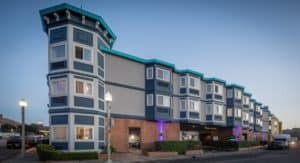 The Pacifica Lighthouse Hotel offers 97 spacious rooms and suites, restaurant, swimming pool, jacuzzi, fitness center, meeting rooms and business center. Conveniently located on the property is the Moonraker Restaurant located on the 2nd floor. With beautiful ocean front dining this restaurant provides a perfect setting for romance and a one of a kind experience. 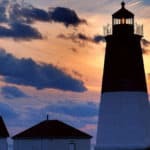 For more information, pricing, or to reserve your room visit the Lighthouse Hotel. 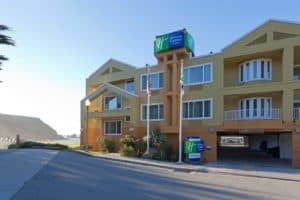 A luxurious 52 room hotel overlooking Pacifica State Beach, (better known as Linda Mar Beach), from its hillside oasis, The Pacifica Beach Resort features Victorian style architecture, jacuzzi tubs and balconies overlooking the ocean. Enjoy a swim in the indoor pool area. For more information, pricing, or to reserve your room visit the Pacifica Beach Hotel. Ok sounds good Christen! You will love the area for sure! Leahrae this place looks amazing, it was not on my list to visit but I think I need to reconsider Pacifica. It ticks all the boxes for the type of place I am looking for in a holiday. I must say the lighthouse accommodation pricked my attention. Thanks for this very useful post, will be revisiting your site for more travel tips. You are very welcome. 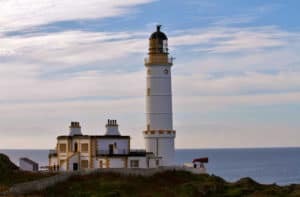 You know I have not stayed at the Lighthouse and have never considered a hostel, but it comes with such high recommendations and ratings for past customers. Definitely worth staying there for sure. Thanks for stopping by beach travel destinations. I am impressed with you site. I will be visiting often, I see allot of places that I would like to go. Great layout. Thank you Ron! 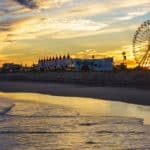 I am glad you enjoyed visiting beach travel destinations! Pacifica looks like a very beautiful place to visit. I love the bordering rocks and mountains. I really enjoyed the video as well, makes me want to go on vacation NOW! It looks like there’s fun for everyone in my family with the biking, hiking, and surfing opportunities. Thanks for the detailed information on the attractions, places to eat, and night life adventures. A Grape in the Fog sounds like the perfect place to go for a little romance after hours. My boyfriend and I really love our wines. I’ll have to check out the availability and pricing for the Inn at Rockaway. I like its convenient location to most everything. I appreciate your help with planning for my next vacation. You are so welcome Devara! I am glad you enjoyed learning about Pacifica, and I am glad I could provide you with the information you need to start planning your vacation. Please let me know if you need anything else! Thanks! I’ll be sure to bookmark your site for future reference. We love trying new adventures for vacationing. The details you include in your articles are so helpful. I don’t feel like I need to do anymore research. You pretty much tell everything people need to know about a place all right here! San Pedro Valley Park sounds like a great family area to visit. I am looking at destinations that we could visit. 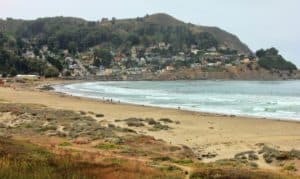 I am planning a round trip from Australia, Hawaii to US…and CA seems to be the place to visit for beautiful beach destinations, especially Pacifica CA, which is gorgeous next to the cliff edge. What is important is that the stay will not be boring as we can enjoy hiking, biking or ever surfing even if we are beginners. I will share this post with my family and friends to let them discover this amazing land. Great Karim! I am glad you enjoyed my Pacifica CA post. Please come back again for more great beach destinations! Awesome Information and what an incredible blog post!I I always enjoy all of your writing and this one is no exception because your articles are very helpful and informative. 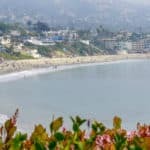 I really love the way you outlined the reviews of Pacifica CA and I must say this is an eye opener; I cannot help but agree with everything that you have written in this review. I am ready to start planning my vacation to this area. Nice to see another great review. Thanks for your in-depth analysis. 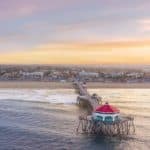 This article makes me want to visit the Pacific coast again. I’ve only been there briefly, in San Francisco. My goal is travel with a RV up the Pacific coast from California to the Canadian border. I live on the Mississippi Gulf Coast and the Pacific world, the coast, vegetation and the way the beaches look like,is so completely different from the Gulf of Mexico. I can see that there are a lot of activities offered, from sightseeing, beach walking,surfing, restaurants … I am wondering, are there any campgrounds? The only thing that worries me a little bit going to the California coast are the wildfires in summer …. Yes, I live on the East coast as well, and yes the west coast is so much different. Both beautiful, just unique in their own way. There are plenty of campgrounds along the way. Visit this link for a whole list of them. Thanks for stopping by my Pacifica CA review. Your site is very informative. Thank you for sharing the beauty of the nature that many people may not know about yet. I haven’t been to the beaches in California, but I would like to go some time in the future. Great Mary, you have to put California beaches on your bucket list. If you like beaches and beautiful scenery, then this is a place that is a must do. Thanks for stopping by! Wow, excellent information here, I especially like the Pacifica Paddle Sports, looks really fun. I knew there was a lot to do in CA, but I had no idea there was this much! I really appreciate you taking the time to make such a comprehensive list, it really helps! You are welcome Jacob, glad you enjoyed! Thanks for stopping by beach travel destinations. I’m so glad I found your page! I will be in Ca next month and I’m preparing my to-do list for my trip. I am definitely going to San Pedro Valley Park. I know the weather will be a little chilly but I live in the south and I live at the beach so I can skip the beach trips this time around. Thank you for being so detailed in this post and doing all the work for me! Thank you so much! You are very welcome Nia! I am glad I could help you. I agree as I live in warm weather on the beach as well, so heading somewhere warm is not super important. But, I do love a good beach and you will find it in Pacifica! Wow, another great place to visit! 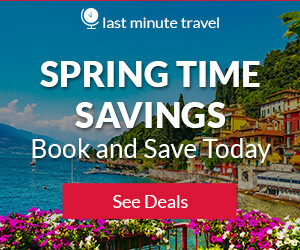 I’ve planned many trips effectively thanks to your informal website. Each time I want to travel, I jump into your site to find all the info I need. This time I am not traveling, it’s my girlfriend who is planning a trip. She didn’t have any idea of where to go this year. So I’ll show her this article, I am sure she will find it interesting! What a beautiful and informative page! It’s wonderful to have the rating and information all in one place. The video is awesome! Adding to my California travels. Hotels are good options. I would like to see some RV locations in the area since that is our our mod of travel. Hi Ken, there are plenty of options for you with an RV. You can visit RV Camping in Pacifica California for a list of all the RV parks in the area. Hope this helps and please let me know if you have an additional questions. Leahrae I am amazed by the beauties hidden a few minutes outside the gates of San Francisco! Your presentations are always so detailed and informative. Excellent ideas for weekends !! Keep up with the good work !!! Thank you Effie! I am so glad you enjoyed your digital visit to Pacifica CA!